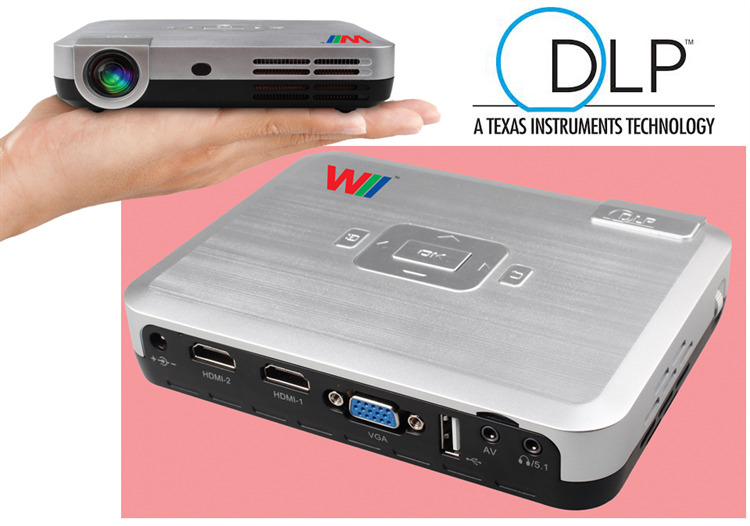 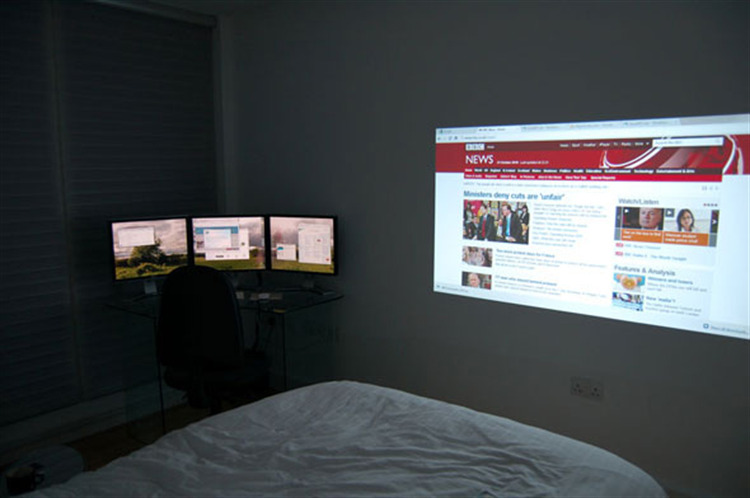 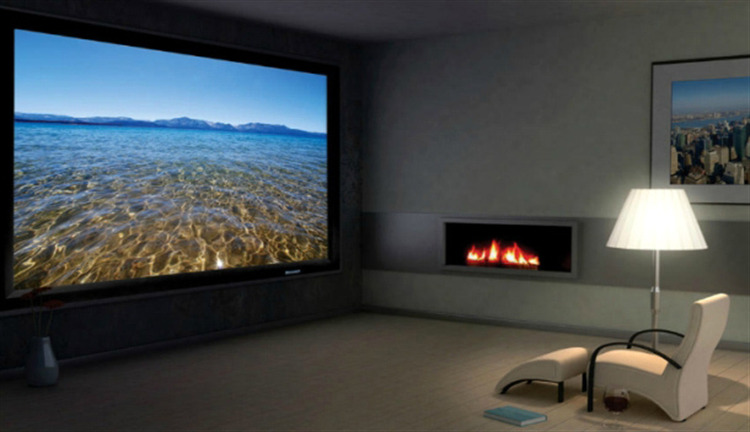 DLP LED Projector with WXGA(1280 X 800) native resolution. 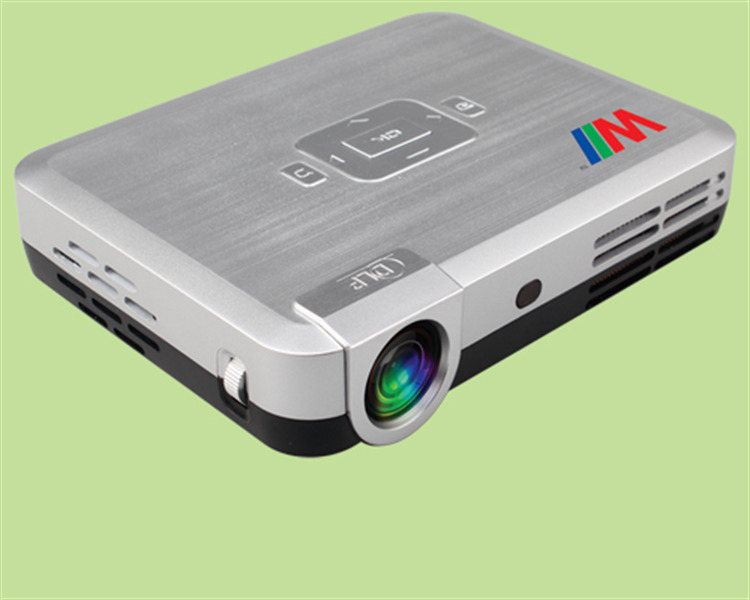 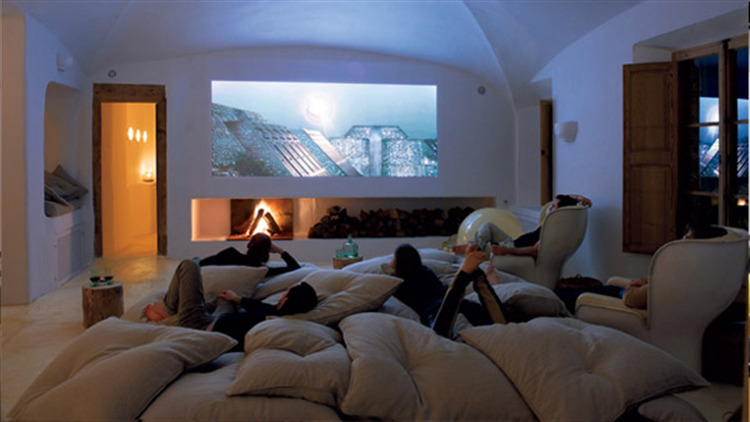 Full HD media player with brightness of 600 ANSI Lumen and 2000 Peak Lumen. 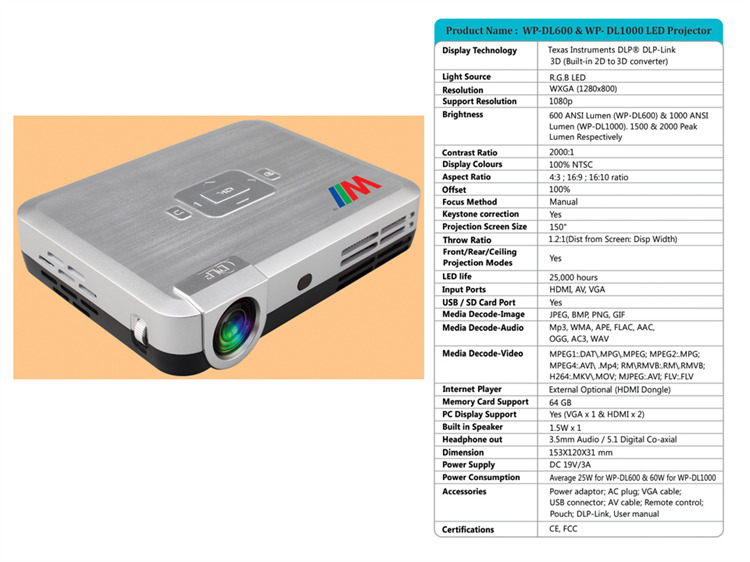 Built-in 2D to 3D Converter with 3D ready capability of DLP-link 3D Technology. 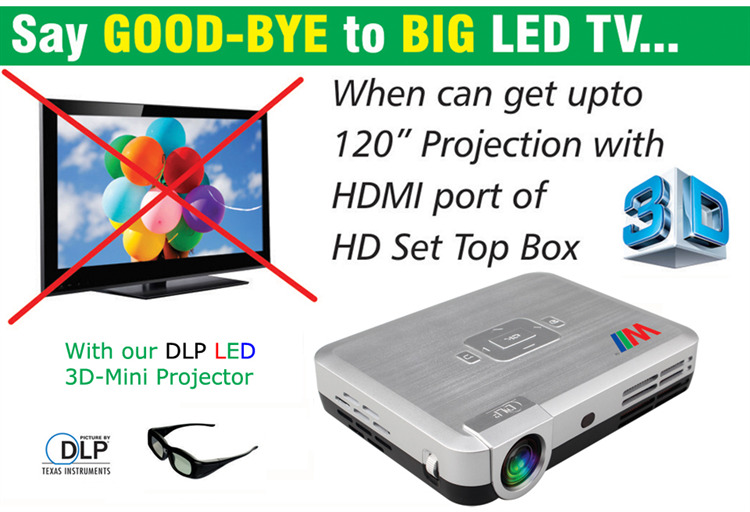 Interfaces like dual HDMI/VGA/AV/3.5mm Audio Stereo out/USB (upto 1TB)/Micro-SD Card(upto 64GB) and built-in 2W speaker. 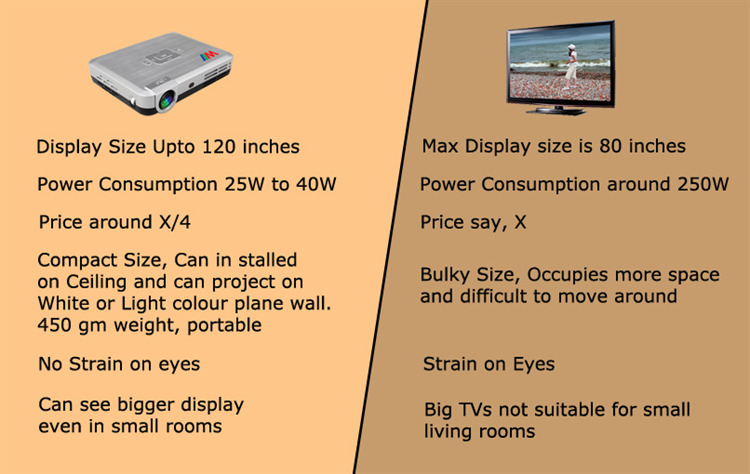 Power consumption of average 25W and display size upto 120 inches makes it a perfect HDTV which can run for hours on normal UPS/Inverter Batteries. 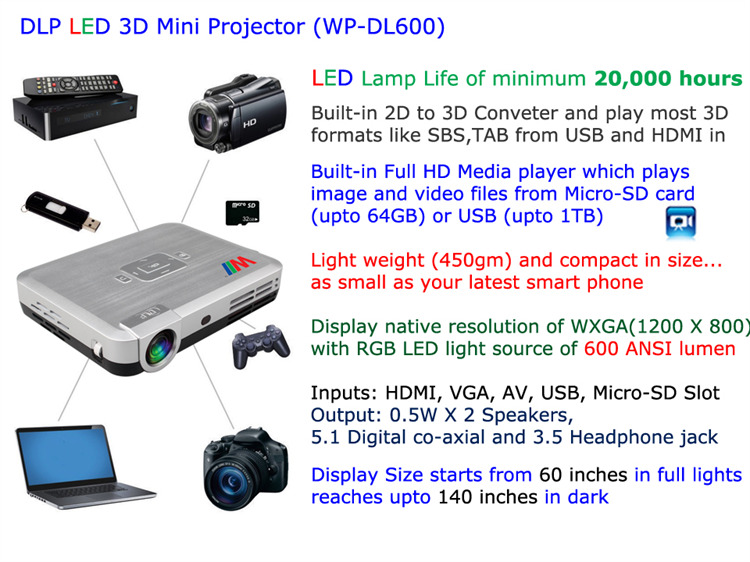 LED Lamp source with life of minimum 20,000 hours and average life of more than 25,000 hours.